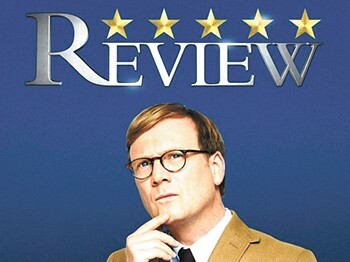 TV | Poor Forrest MacNeil. The oblivious, square fellow just wants to REVIEW life, in all of its pain and glory. But, like a pushover improv partner, Forrest (played by Andrew Daly) just can't say no. He has a tendency to review anything he's asked to, from starting a cult, to getting divorced, to — most horrifyingly — eating 15 pancakes in one sitting. It's cost him his marriage, his health, and whatever strands of self-respect he had remaining. This isn't cringe comedy. It's downright black comedy. And it's hilarious, in a depressing, terrifying, occasionally redemptive way (10 pm Thursdays, Comedy Central). PODCAST | I know next to nothing about sports, but know that, as a man, classic archetypal gender norms demand that I learn. 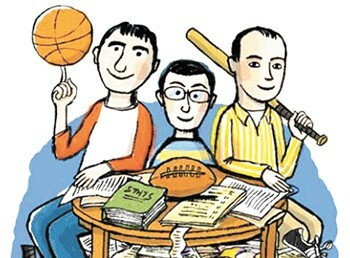 And so far, on my journey to know sports, Slate's HANG UP AND LISTEN podcast, which dives into all the sports news of the day, has been a great asset. Now, to fake my way through a sports conversation, all I need to do is simply repeat a few points the witty hosts made, and say "But's that's just my opinion. What do you think?" I already tried it on my father, a former track coach, and he was momentarily confused: Why was his son trying to talk to him about track? Because I know sports now, Dad. GAME | For a time there, video games got too easy. You had your checkpoints, your regenerating health, your infinite lives. But now, hard games are all the rage. DARKEST DUNGEON takes a turn-based role-playing game and gives it the gorgeously bleak treatment it deserves. Your characters can come down with the "Yips," hurting their accuracy, or tear their rotator cuff, reducing their damage. Most commonly of all, the dark corridors will send the stress of your characters skyrocketing, testing their mettle. Some will survive stronger; others will leave with new afflictions or die amid the ruins of heart attacks. But if they perish, fear not: A new band of doomed adventurers arrives in town every week.